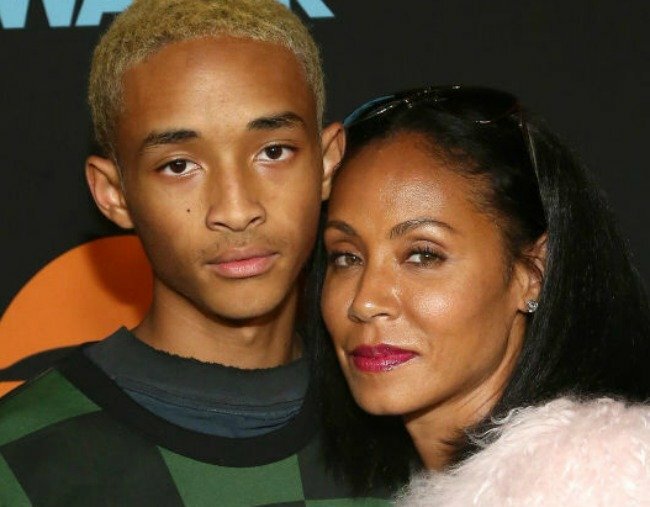 Jada Pinkett Smith on the moment her son Jaden Smith left home at 15. The choice Jada Pinkett Smith's son made at age 15 that broke his mother's heart. Jada Pinkett Smith has recalled the day her 15-year-old son Jaden Smith decided he wanted to move out of his family home as “one of the most heartbreaking moments of my life”. But as crushed as they were, she and her husband of 19 years, actor Will Smith, chose to force themselves to support his controversial decision. On a new episode of her show Red Table Talk, the 46-year-old mother-of-two said she intuitively knew it was the right decision for Jaden, and that he had the maturity level to manage it. Jaden said he needed to get out of his family’s high-profile Hollywood bubble, and after he did, it was something that eventually strengthened his relationship with his parents. “It just makes you appreciate being at home, being with your parents, spending quality time with your family,” he told his mum, sister Willow Smith and grandmother Adrienne Banfield-Jones. Speaking about her and husband’s parenting methods, Jada spoke about the difficulty of raising children in a background completely different to the one she grew up in. She shared one of her key parenting lessons: “Every child needs something different,” she said. “Being in this lifestyle – this world is a bubble and he wanted out, and I understood that.